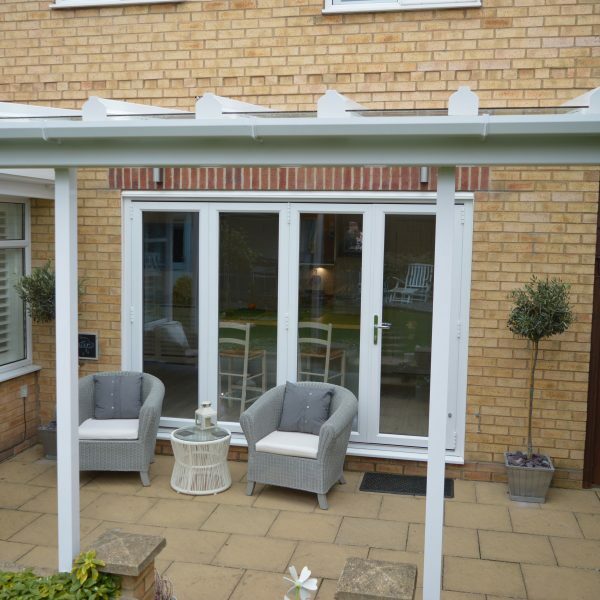 Whether you require an alfresco dining space or a place to simply relax and read a book, our 3m projection Glass Veranda has all the space you need. With its stunning clear glass roof, you'll be able to enjoy a wonderful sheltered outdoor area throughout the day and sit watching the stars long after the sun goes down. Looking for custom colouring? 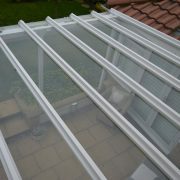 Our glass roof patio canopies are available in a wide range of colours. Choose from the RAL colours in the drop down box or feel free to contact us if you need something that’s not listed to help create your perfect canopy. Let the sun shine through with this stunning glass canopy. Perfect for garden parties, barbeques, enjoying the sunshine – or even just keeping out of the UK’s weather. When the rain is falling you can have a sheltered area for the children to play while enjoying the benefits of natural light and of being outside. 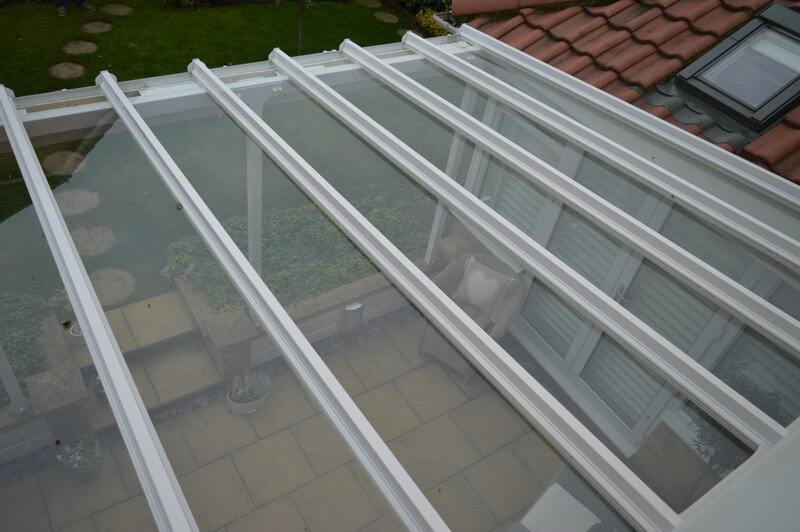 The crystal clear roof of your Elegance patio canopy ensures you make the most of every bit of available light, keeping internal rooms bright. 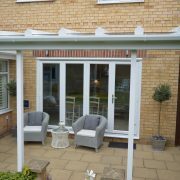 Because of the protection our canopy offers you’ll be able to place outdoor furniture on your patio and enjoy the company of friends at any time of year. Highly versatile the Elegance Glass Roof Canopy comes in three projections as standard or we can custom make it to your required size. 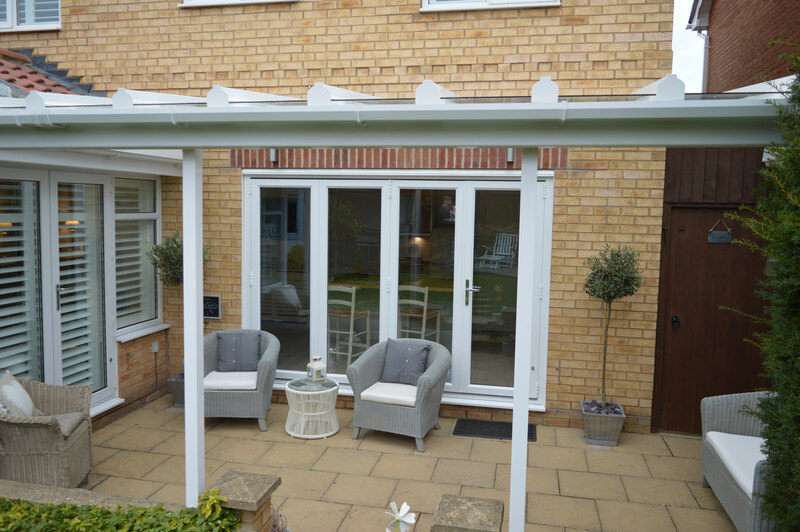 You can even have your canopy powder coated to match the rest of your home so you’re guaranteed to find something that looks just perfect in your garden. Call us on 0345 241 7182 for more information or email us at sales@thecanopyshop.co.uk. 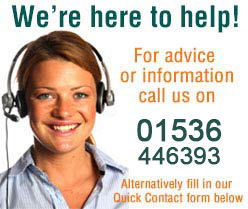 For more information or advice please call us on 0345 241 7182. 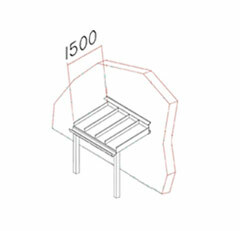 Click here to download our canopy assembly instructions. 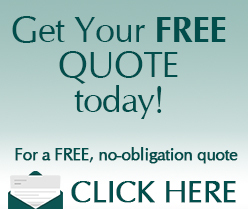 If you require fitting simply Click here to get a quote or call us on 01536 446393. 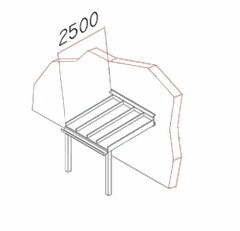 If you require a size that we don't stock, we can fabricate your canopy.call us on 01536 446393!